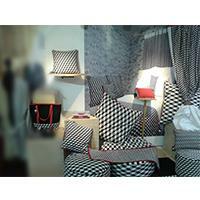 Asix is a designer home textile, shoes, bags & covers and scarves brand focusing on the international market. Our unique range of collections offer contemporary yet simplistic and fashionable outlook upholding the commitment to save the earth. Asix is a designer home textile and bags and accessories and towel textile brand which focuses on the international market. Our unique range of collections offer contemporary yet simplistic outlook.